Gearing up to buy your very first vehicle is always an exciting time. 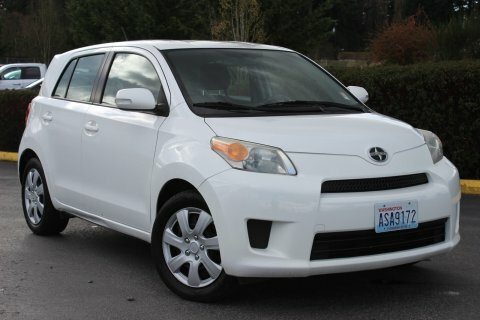 You find the perfect used car and you want to see about getting the auto financing in Edmonds that you need. However, if you are a first time buyer, working with some of the banks can be more of a headache than anything else. This is where Carson Cars comes in with our easy financing options, even for first time car buyers! We offer incredible rates for first time car buyers, with some getting rates as low as 7.49% upon credit approval. Additionally, you can take advantage of financing with loans of up to $15,000 and we have a great selection of vehicles to choose from. At any given time, you will find well over 200 vehicles on our lot so that you always have a nice selection. For well over 35 years we have been giving countless customers something to smile about. We know how important it is for you to get behind the wheel of a good looking, dependable vehicle. If you have any questions about any of the options on our lot or the financing process, all you have to do is talk with our friendly and personable customer service team. We will stop at nothing to make sure that you have a great first time car buying experience from start to finish. Once you know that you are ready to buy a vehicle, it is going to be time for you to get the greatest deal on auto financing in Edmonds with a little help from us at Carson Cars. All it takes is a simple phone call to our team at (855)583-9356 and we will be happy to answer any of your financing questions or help set up a time for you to take a test drive.